The producers of the hit TV series "Desperate Housewives" on Thursday issued an apology for an insulting line that belittled the practitioners of the medical profession in the Philippines. Malacañang on Wednesday also condemned the insulting line and asked the producers of the show to issue an apology. Executive Secretary Eduardo Ermita said the TV show belittled the abilities of Filipino doctors and sent a message that Philippine medical schools produced "substandard, inferior" medical practitioners. Ambassador Willy Gaa of the Philippine Embassy in Washington has also sent a protest letter to ABC Network. 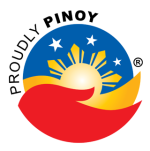 The letter reflected the Filipinos furor over the insulting line. North America New Bureau chief Ging Reyes, meanwhile, reported that some members of the Filipino community showed discontent despite the apology. Reyes said Filipinos are demanding for a retraction of the insulting line in one of the episodes of the TV series. Filipinos want to see a scene where the medical profession in the Philippines is being praised by one of the characters. Dr. Jose Sabili, president of the Philippine Medical Association (PMA), told ABS-CBN's morning show "Umagang Kay Ganda" that he had already talked with the president of the American Medical Association (AMA) and discussed Mayer's insulting line. Quoting the AMA president, Sabili said the line was "out of bound." "It's not good for us. They shouldn't have said those [insulting] words, because we all know that there are good doctors who graduated in the Philippines. That's uncalled for," Sabili said in another interview on Wednesday. Sabili, who was attending the World Medical Associations General Assembly in Copenhagen, Denmark, said the AMA president had promised him that medical associations will act against the producers of the TV series. Sabili said the PMA will study the possible cause of negative perceptions of medical schools in the Philippines. He said "diploma mills" and negative write-ups of medical schools in local newspapers could have contributed to the negative perception. "I have to verify this. We will definitely act on this because this will destroy the reputation of Filipino doctors," he said. Filipino Americans have also expressed their outrage over the remark and have launched an online petition demanding an apology from ABC Network. The petition also demands that the episode be edited to remove the "ignorant and racist" remark. As of 4:16 pm Thursday, some 15,533 people have signed the petition. "[A] statement that devalues Filipinos in healthcare is extremely unfounded, considering the overwhelming presence of Filipinos and Filipino Americans in the medical field. Filipinos are the second largest immigrant population in the United States, with many entering the U.S. (and successfully passing their U.S. licensing boards!) as doctors, nurses, and medical technicians. "In fact, the Philippines produces more US nurses than any other country in the world. So, to belittle the education, experience, or value of Filipino Americans in health care is extremely disrespectful and plain and simply ignorant. Many of the hospitals in major metropolitan areas of the US (and the world) would not be able to operate without its Filipino and Filipino American staff members." Jay Ngo, a Filipino health professional from Riverside, California in the United States ABS-CBN News that the episode was an outrage, saying, "the healthcare industry, including the best hospitals, is full of Filipino medical professionals." The message board of the "Desperate Housewives" website was peppered with threads regarding the issue. "America has been very fortunate to have been served by many [Filipino] nurses and physicians. It is quite ungrateful of Americans to make such remarks. Even if it were meant to be a joke, it apparently hurt an entire nation. The Filipinos deserve an apology. One day, when you are old, it could just be a Filipino nurse by your bedside and then you would know why you should have taken back any insults against Filipinos, especially Filipino medical practitioners." "As a Filipino-American who is both a doctor and trained here, I get that your comment is quite ignorant. True, many Americans go overseas for medical school because they could not get in to schools here. However, there are a GREAT number of Americans and Europeans who go to so called "third world" countries because the education there is cutting edge AND affordable. I'm up to my eyeballs in student loans. "Why do you think Americans are now rushing to the Philippines and India for surgeries unavailable here in America? There are hip surgery techniques that have been developed there that result in less recovery time and have less mortality." "Please, get educated before jumping onto the obvious bandwagon of "get over it" because you can't possibly understand being berated. Even my husband, who is Caucasian, took great offense to the comment and is the one urging me to stop watching the show in protest." One poster, who used the alias "berikyut", was long on passion but fell short on English skills. "What the hell...Talking but about the philippines in your premier... "Let me see your degree making sure is now from somewhere in the philippines"? For you information if you go to hospitals most nurses/doctors there is from philippines & is hard worker & very good...So I suggest you think about your comment before you say it or if it's a joke It should be funny ( that is why it's a joke) DUH!!! I usually like you in the show specially watching you in superman before...NOW forget it....that's why you never win an emmy!!" This prompted a reply from "Dr.Java02" asking, "Do the nurses/doctors learn grammar and spelling over there?" With that development, do Filipinos now need to prove that they can master English grammar as well as Western medicine? Do you need grammar and spelling to cure people? Can you speak tagalog or even spell it as you hear it? Guess not!